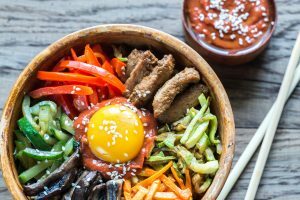 If you love Asian food then spring is a great time of year for you! Asian veggie, mushrooms and chillies are all at their best in Spring, so we’ve put together a little list of the best stuff in the greengrocers right now. As always if you think we’ve missed anything, let us know! 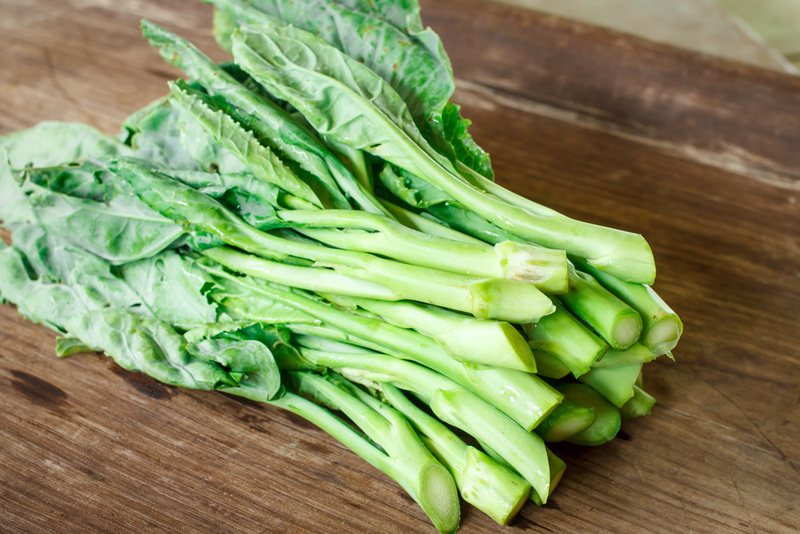 Bok choy is probably the most well-known leafy Asian green and you’ll find it at your local supermarket. The stem is crunchy and sweet whilst the dark leaves are soft and slightly bitter. Add it to stir fries or steaming bowls of broth, shred it for dumpling stuffings or steam it and serve as a side dish or simply eaten on its own as a vegetable dish. 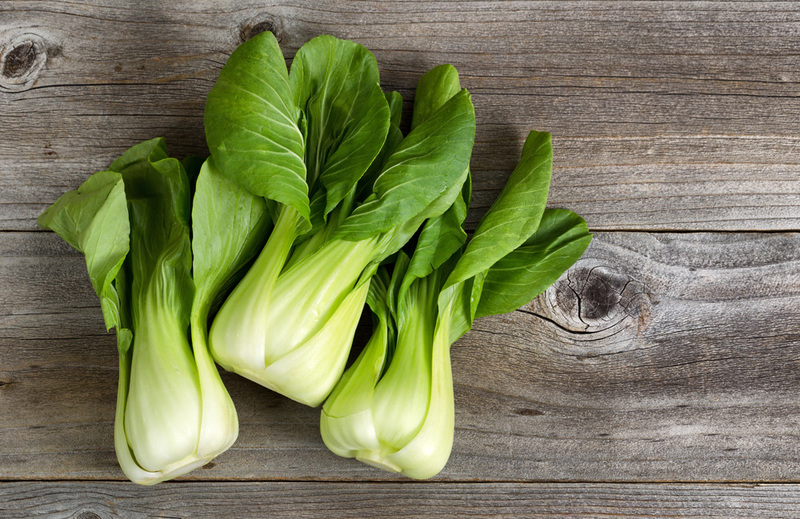 You’ll also find ‘baby bok choy’ which is much sweeter in taste and can be served whole. 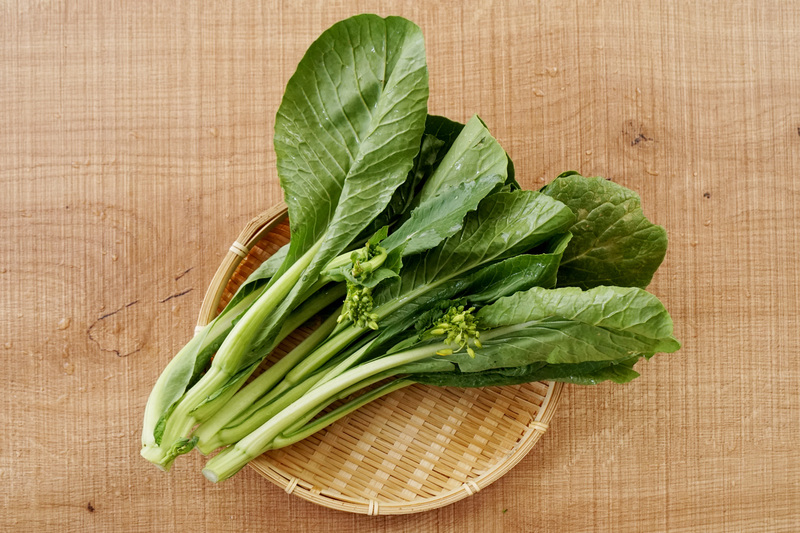 A relative to pak choi, choy sum is similar in taste and texture but without the bulbous base of its cousin. Due to it’s thinner build, choy sum takes less cooking than pak choi. It’s best served by itself as a side dish or in a stir-fry. Kai lan is more similar to western broccoli and has a bitter-sweet taste. Kai lan is great str-fried with something pungent, like ginger. 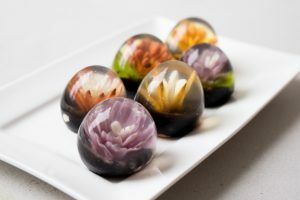 To keep the stems crisp and to preserve the colour kai lan should be blanched briefly before being plunged into cold water to prevent overcooking. Then simply stir-fry! 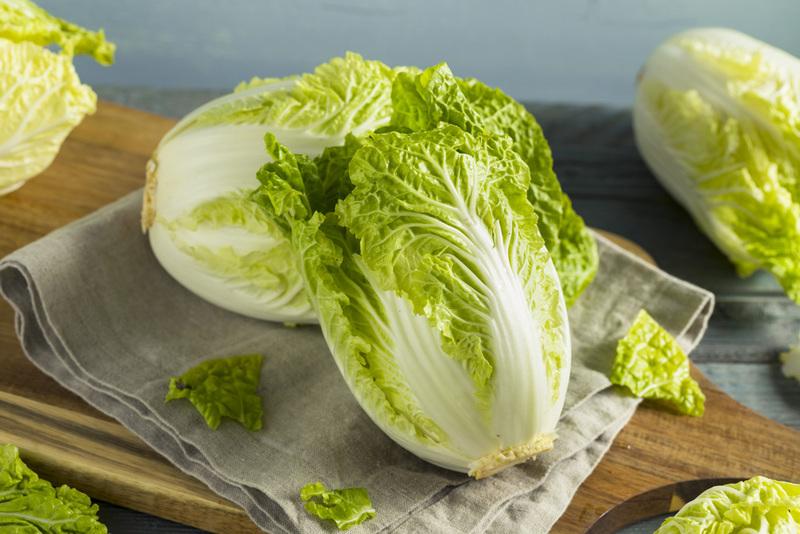 Crunchy, sweet and a little spicy just like western cabbage. Wombok is great in stews, can be used as a base for meat and is also great finely chopped and sautéed or stir-fried. Its thick, succulent leaves can be used to make a very popular Korean dish, kimchi and it is often combined in a Chinese vegetarian dish combining it with ‘Lo Hon Chai’. 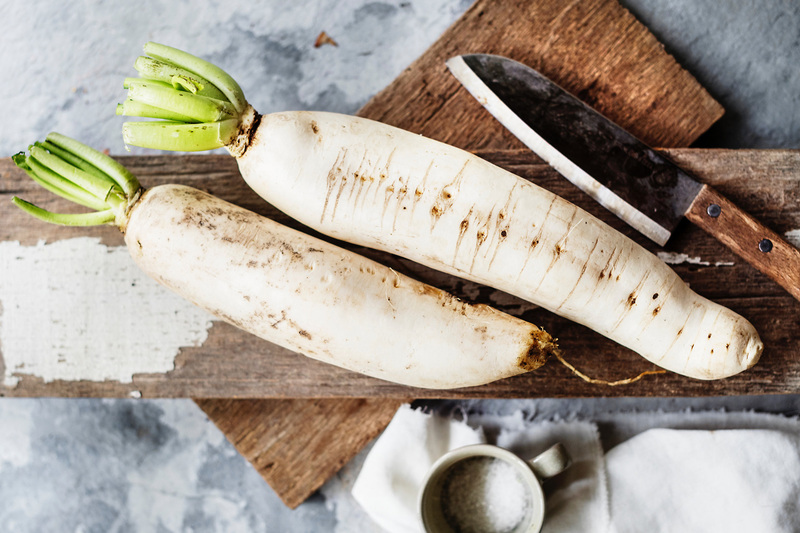 A Japanese radish, use daikon any way you would use a carrot, and then some. 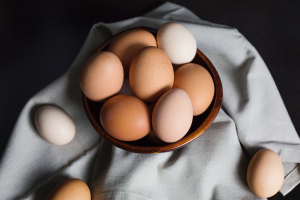 Try them baked or boiled in stews and soups or in a stir-fry. Also try them lightly steamed with sesame oil, salt or lemon juice for flavour. 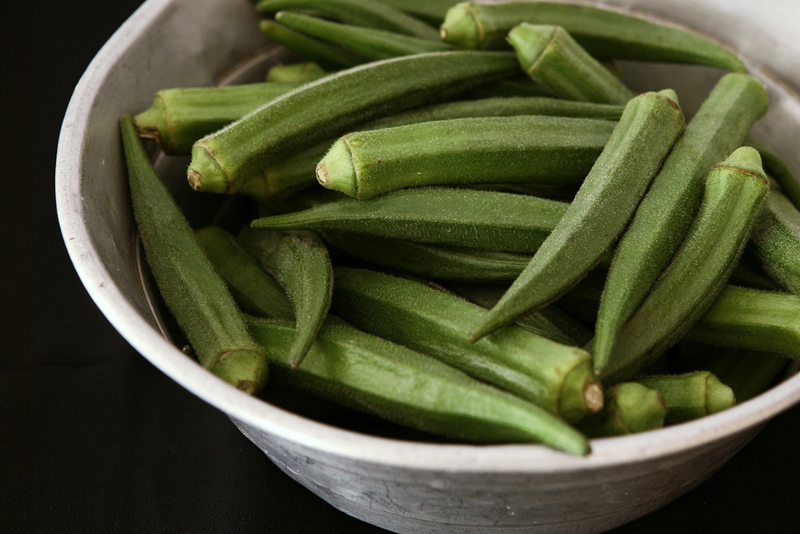 Sometimes called ladyfingers, the seed pods from the okra plant are popular in south-east Asia. Often included in curries and soups, where their slightly slimy texture is best utilized. 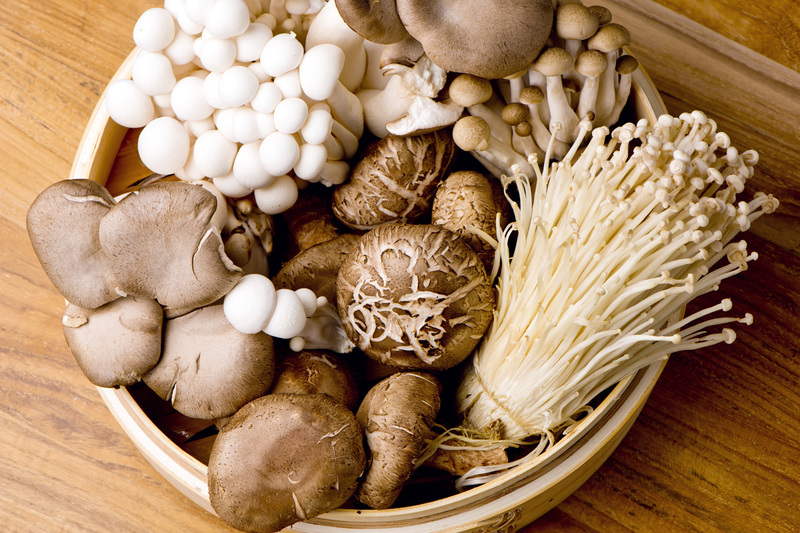 From enoki to wood ear to shiitake, spring is a great time to get your mushroom fix. Delicious braised or in stir-fries, try some combinations to get the full range of textures and flavours of these fabulous fungi.